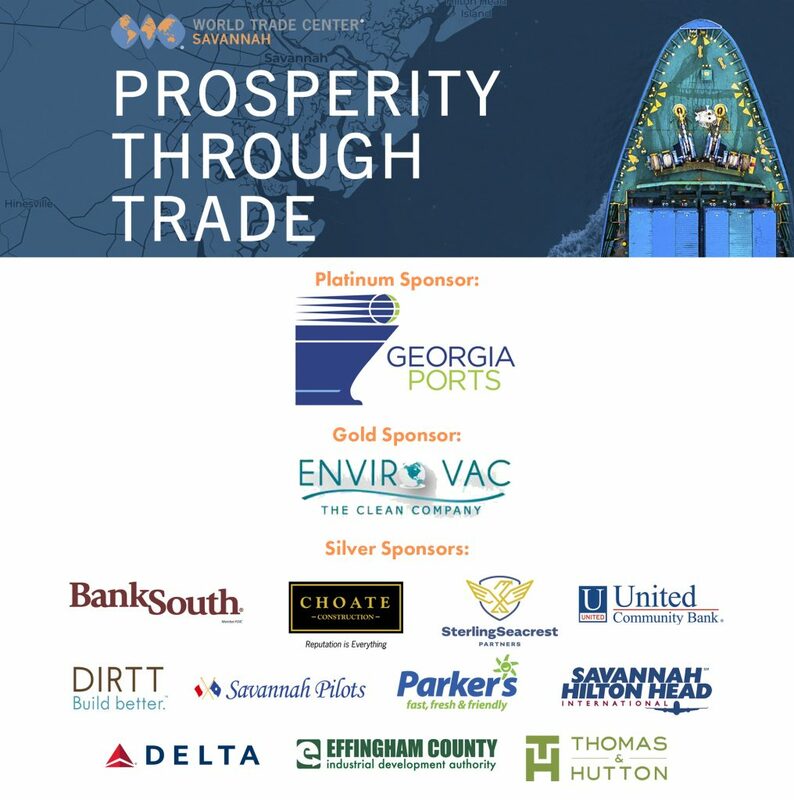 World Trade Center Savannah (WTCSav) will host its inaugural Prosperity Through Trade luncheon Thursday, May 9, 11:30 a.m. at the Hyatt Regency Savannah, 2 W Bay St. Chief Operating Officer of the PricewaterhouseCoopers (PwC) Network, Carol Sawdye, will be the keynote speaker. “We are honored to have a speaker of this caliber. Carol is a global executive with connections to Coastal Georgia,” said committee chairman, Loretta Cockrum. Sawdye drives the budgeting, financial planning and strategic investments processes throughout the PwC Network and collaborates with her global leadership team colleagues on network transformation. She also leads the Network Leadership Team Chief Operating Officer group. Previously, Sawdye served as the Executive Vice President and CFO of the National Basketball Association. “We are excited about the opportunity to highlight global economic development in this region and showcase the activities of WTCSav and the successes of our 16 economic development authority partners. Our goal is to produce this event every year,” said WTCSav Chairman of the Board of Directors, Scott Center. World Trade Center Savannah will also present the World Trade Center Savannah International Business of the Year Award to a regional company demonstrating excellence in international trade. This award is presented to encourage and recognize exemplary corporate leadership for international business or trade that advances relations between the U.S. and other nations as well as creates quality jobs in the region. To purchase tickets, visit wtcsavannah.org/events. For more information, contact LeAndrea Mikell at lmikell@wtcsavannah.org​.